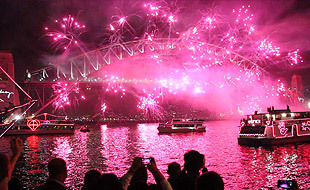 New Years Eve on Sydney Harbour is the best place to avoid the crowds and enjoy the best of the fireworks and all the night has to offer. Join us as we cruise around the Harbour in a prime position for the fireworks. Celebrate Australia Day with a cruise to view the Carss Park fireworks in Kogarah Bay! Enjoy the spectacular scene of fireworks over the bay while dining at our delicious buffet of seafood and roast carvery or you may prefer our Picnic Cruise with BYO food and drinks. Departing from Sans Souci Wharf.